Pay your bills in store at Cressbrook News and Stationery through BPAY and our CONNECT Bill Payment service. 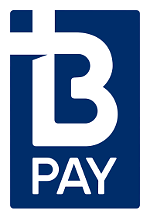 BPAY is used by a large number of billers, just look for the BPAY symbol on all your bills, if it is there you can pay it at Cressbrook News and Stationery. Try Toogoolawah's "Olden Days" Movie Theatre Experience!